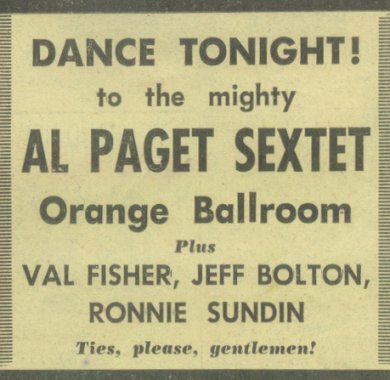 The Al Paget Sextet was a rock and roll band from Auckland who were around in the early sixties. 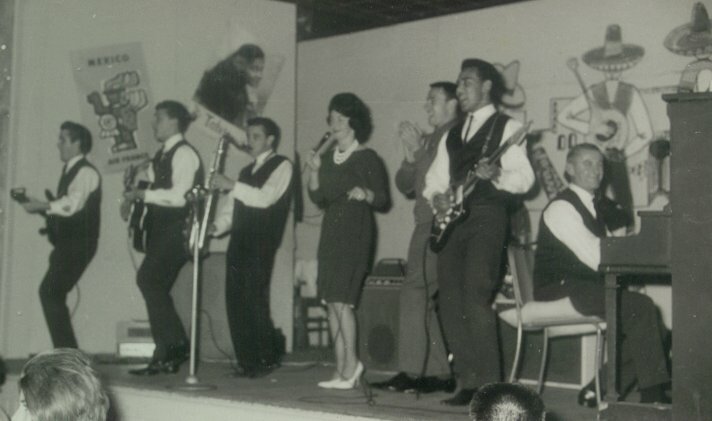 They were an instrumental group who were versatile enough to play rock, hit-parade standards, jazz and Latin American. 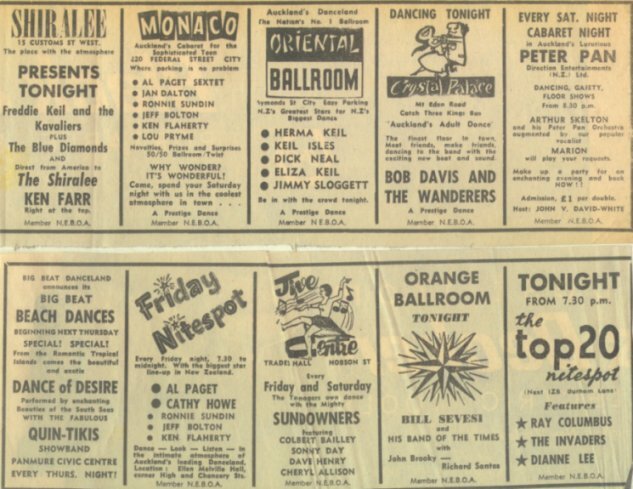 The Sextet used to draw large crowds to the Bayswater Dance and the Oriental Ballroom. 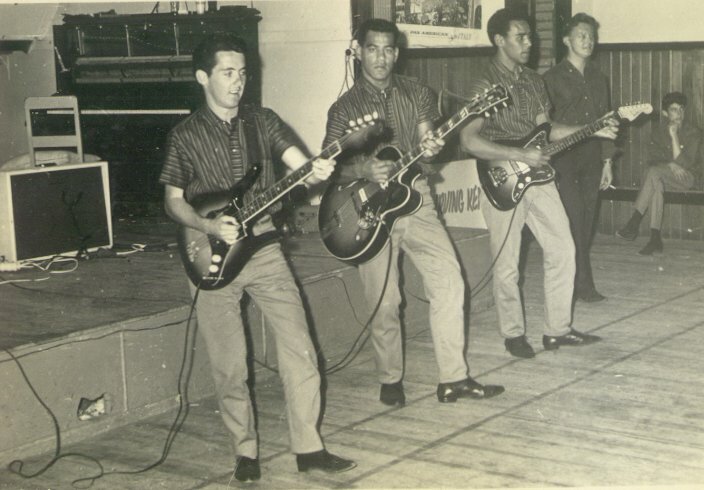 The group was formed by guitarist Alex Patchett in 1960. He was a perfectionist and rehearsed the group for months before giving their first public performance. Jeff Bolton joined in 1961 and had previously been the vocalist with the Commodores. Joe Brandon had previously played saxophone with the Bill Sevesi Group, (see photo further down page). 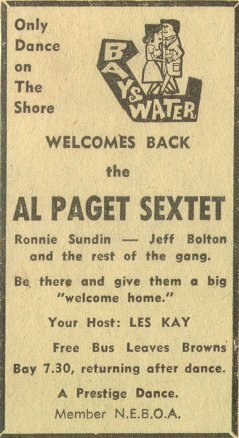 The Al Paget Sextet stayed together for about four years and had the following personnel changes along the way. 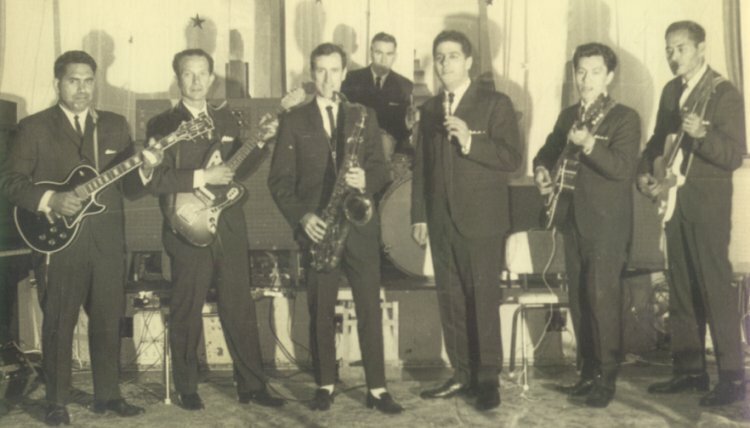 Joe Brandon was replaced by Willy Schneider, who in turn was replaced by Rod Gibson on saxophone, Irving Patchett left for about a year and was replaced by the great Ronnie Sundin, before he returned to the group, and Merv Herdson was replaced by Ken Flaherty on drums. 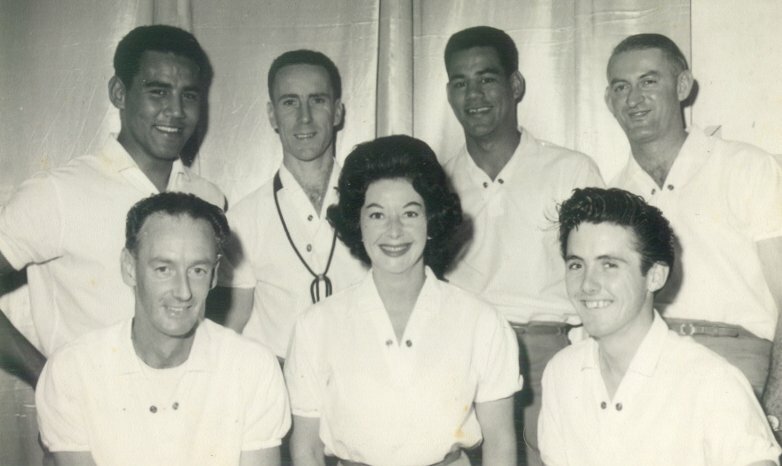 Val Herdson, who used to sing under the name Val Fisher, would occasionally sing with the group in the early days. 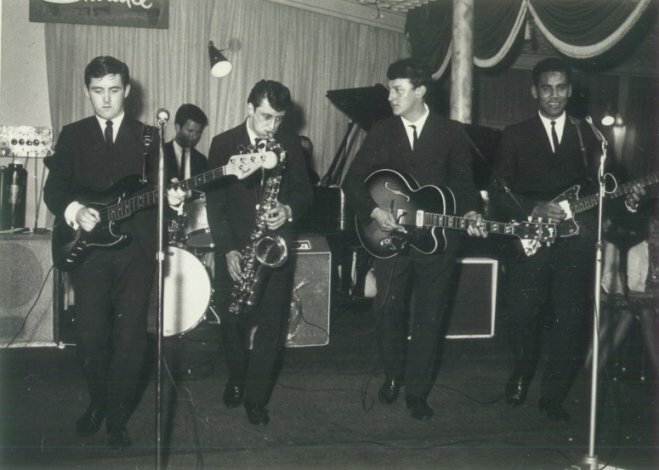 Bill Sevesi Group approx 1959-60, Joe Brandon third from left on Saxophone, Ben Tawhiti first left on lead guitar. 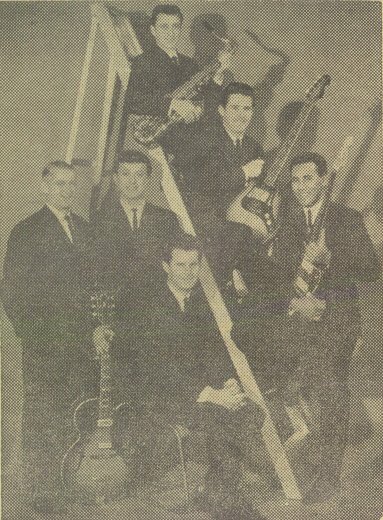 On the recording side, they released a single on Allied International in 1962 called "Gunshot"/"Portuguese Washer Woman". In 1963 another single came out on the Lexian label, called "Black Saddle"/"Christopher Columbus". 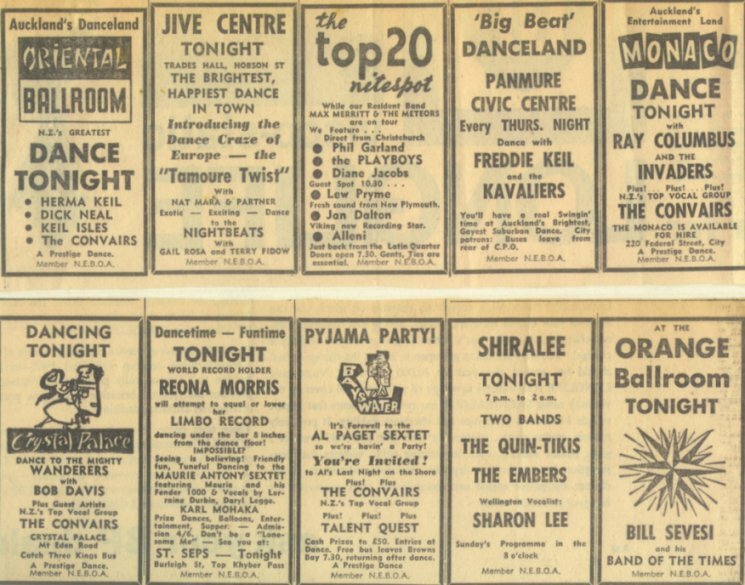 A move to Zodiac in 1964 for two singles, "Stampede"/"Chariot Stomp" and "Maybe Baby"/"Sea Of Clouds". 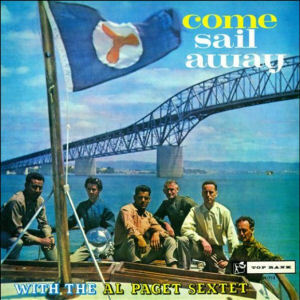 The Al Paget Sextet also released an album in 1962 on Top Rank called "Come Sail Away With Al Paget Sextet". 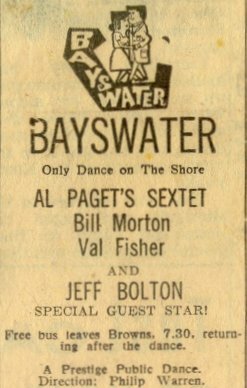 It was not their only album, as they also provided all the backings for Auckland country / pop singer, Bill Morton's album "Bill Morton With The Al Paget Sextet" on Allied Int, also in 1962. 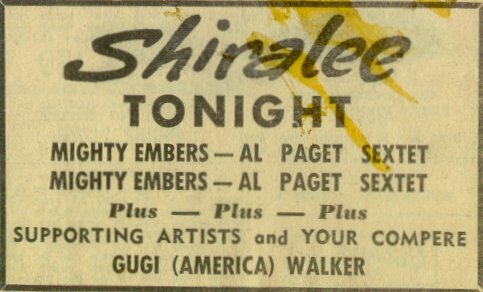 The following newspaper article was written about the Sextet in early 1963. 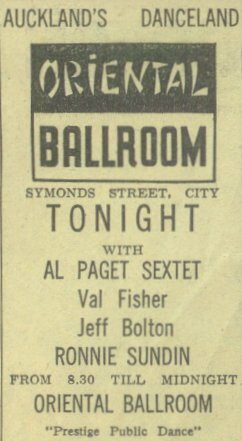 "In the recording field, the demand for the big-beat sound of the Al Paget Sextet is well demonstrated. 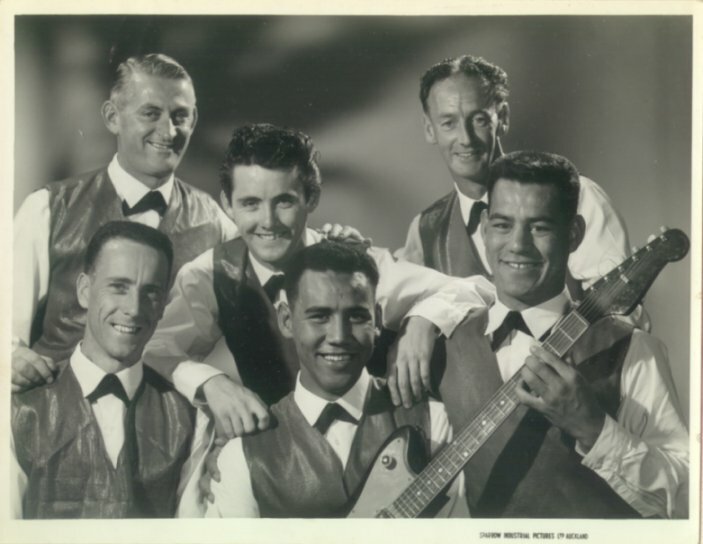 The group's first LP "Come Sail Away" was requested so frequently on the radio, that a favourite track, "Portuguese Washerwoman", was released as a single. Sales of this recording are still rising. 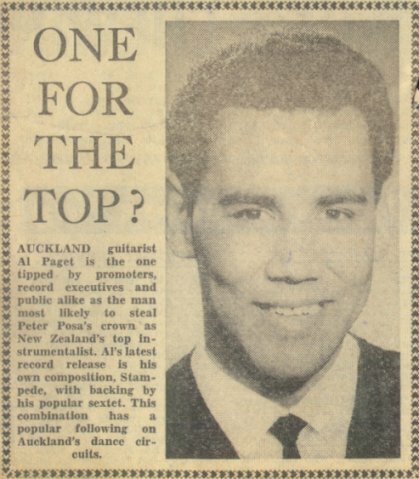 "When Bill Morton's hit "Jezebel" was reviewed on AKTV2's "In The Groove", some leading Auckland musicians could not believe that the Al Paget Sextet backing was a local one. The following LP "Bill Morton With The Al Paget Sextet", drew praise from even rival record companies. But naturally the Al Paget Sextet feels that keeping ahead of the many other groups in Auckland takes more than past achievements: layout is being planned for the third LP, which promises to be their most varied yet, and a new single "Black Saddle" and "Christopher Columbus" has just been released on the Lexian label. The first number is a TV series theme and the flip is Al's own bossa-nova twist version of an old standard. 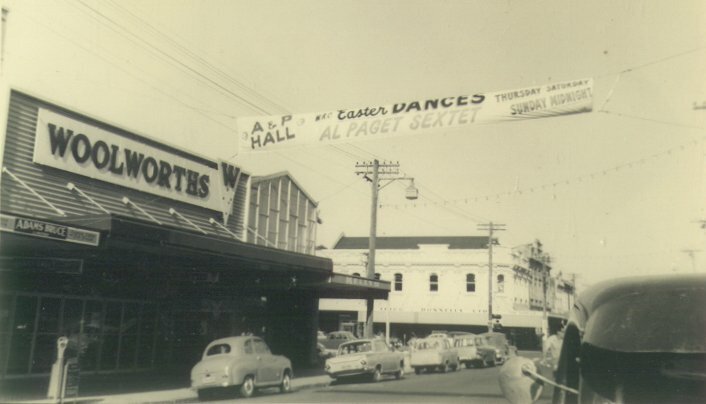 "Although the band has been kept busy in Auckland with recording dates, TV appearances on National Shows like "In The Groove" and "Teen '63" and personal dancestands at the Civic Wintergarden and Oriental Ballroom, North Island teenagers should soon see the Al Paget Sextet personally. For the group is commencing a series of 2-3 night stands throughout the Island. So far they have had a successful season at the Mount during new year, as well as stands at Hamilton, Taumaranui, Te Aroha and other provincial towns." 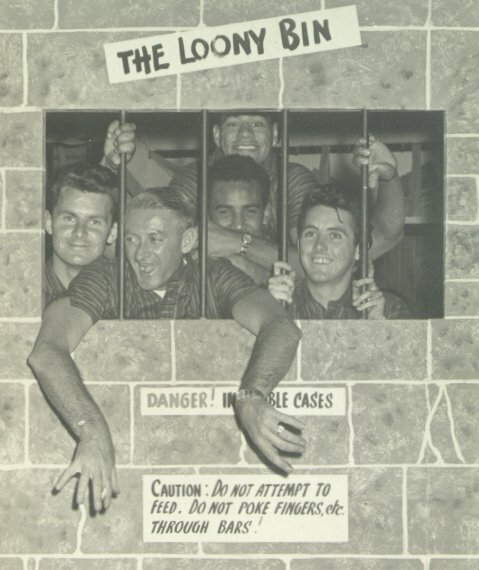 1963 L to R: Trevor, Ronnie, Ken, on ladder top down, Rod, Jeff, and Al. 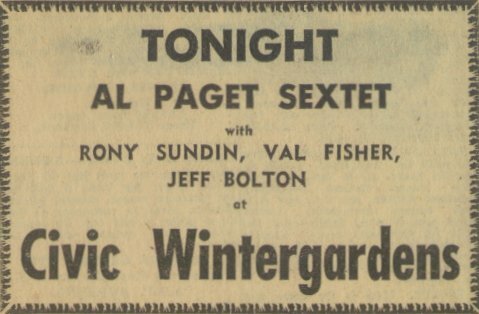 Advert for Al Paget Sextet at Bayswater. Interesting looking at the rest, how some groups, Convairs, have four venues to play at in one night. Jeff, Irving and Al at Mt Maunganui, Christmas 1963. Ken, Trevor, Al and Jeff. Irving at top. 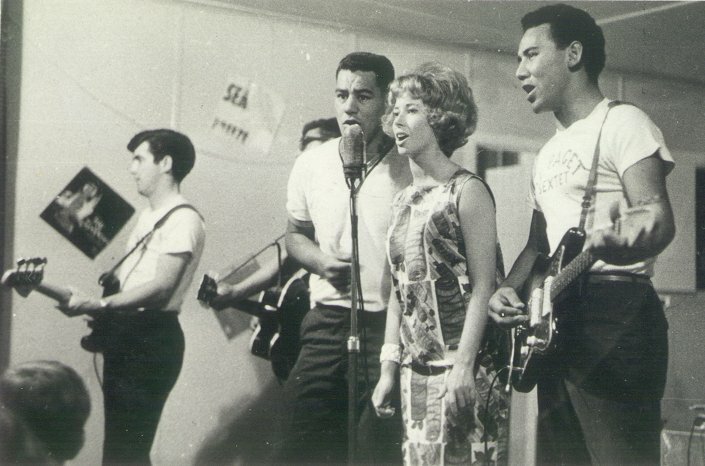 At Waihi, summer 1963/64, L to R: Jeff, Irving, Jan Dalton, and Al. At the Shiralee 1964, L to R: Jeff, Ken, Rod, Ronnie, and Al. 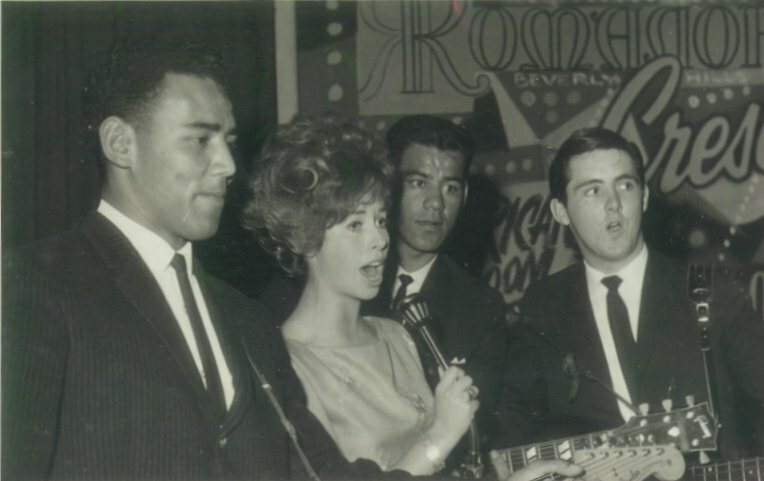 Al, Jan Dalton, Irving and Jeff. 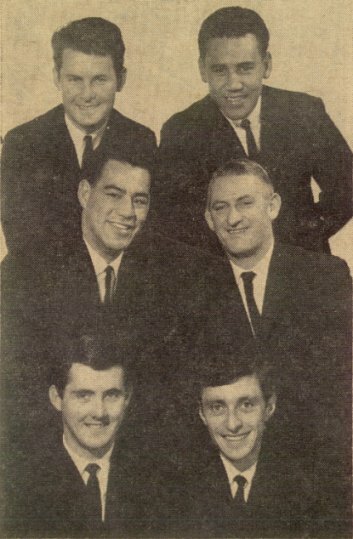 In 1965, the Al Paget Sextet ended after five successful years. Al Patchett himself joined the Newsounds. Today he is in England, and Jeff Bolton moved to Australia after the break-up, and is enjoying his semi retirement. He has his own interesting website at www.shoalhaven.net.au/~geoffdb. I am very grateful to Jeff Bolton for allowing me to copy all of the above images from his own photo album. It is tremendous to be able to share other peoples memories with so many others.